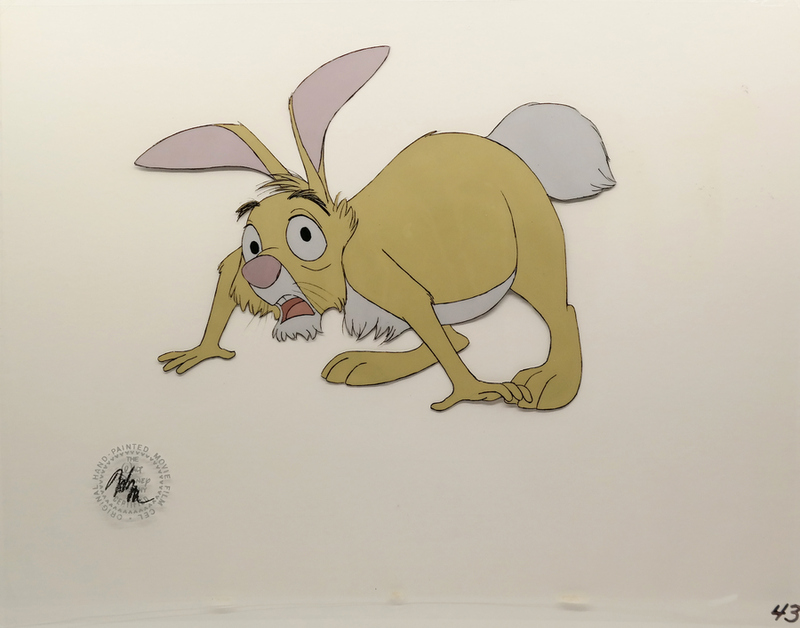 This is an original production cel from the Walt Disney Studios production Winnie the Pooh and Tigger Too (1974), one of the shorts that is part of The Many Adventures of Winnie the Pooh (1977). This hand-painted cel features a frightened Rabbit as he is lost in the mist and fog and confronted by frogs and bugs. 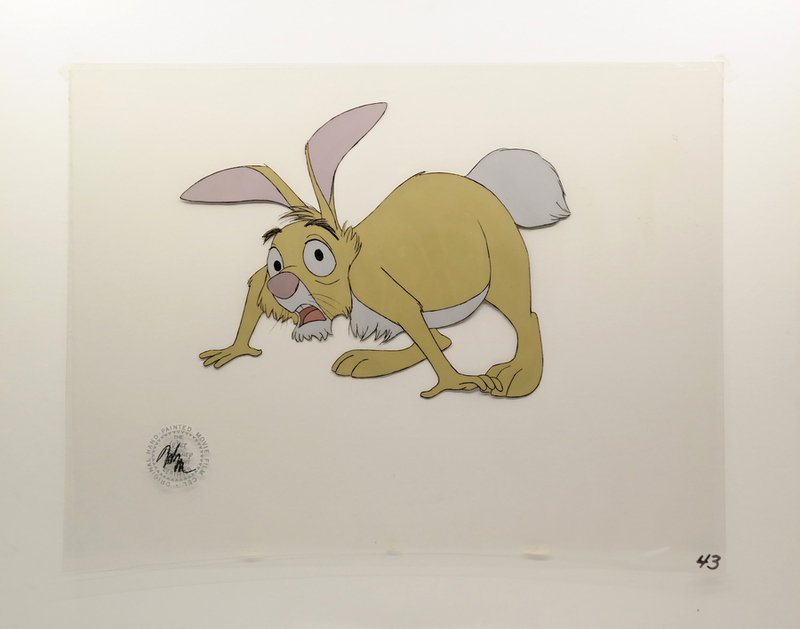 This cel was created at the studio and used during production, representing an actual frame of animation that was photographed and appears in the film. The overall measurements of the piece are 12.5" x 16" and the image itself measures 8" x 10". The cel is in very good condition.